Come 2 – 10 July 2012, Singapore, the United States, Australia, New Zealand, Brunei Darussalam, Malaysia, Vietnam, Chile, Peru, Mexico and Canada will convene in San Diego, California for the thirteenth round of Trans-Pacific Partnership (TPP) negotiations. The thirteenth round of negotiations will include new members Mexico and Canada. Mexico is now the second largest Latin American economy and Singapore’s second largest trading partner in Latin America. Canada, on the other hand, is one of the world’s leading industrial nations and largest economies. Singapore Company Registration specialist Rikvin is optimistic that on one level, the inclusion of Mexico and Canada in the TPP will enable the republic to strengthen its ties with the newest TPP members. On another level, the impending thirteenth round of negotiations could pave the way for reduced tariffs and trade liberalization that in turn, could set off a chain of positive economic repercussions, especially for entrepreneurs and small and medium-sized enterprises (SMEs). According to a recent report in the Globe and Mail, a successful TPP could yield global income gains of US$295 billion by 2025, including US$78 billion for the United States. The TPP framework, which has undergone twelve rounds of negotiations, aims to enhance trade and investment amongst the TPP partner countries, boost economic development and create high-quality jobs. The member countries are keen to conclude the agreement expeditiously. 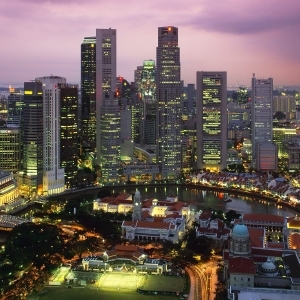 “As it is, Singapore’s business ecosystem is an asset to the TPP framework. The singapore tax structure and vast network of trade agreements are a boon to any globally-minded entrepreneur. This is part of the reason why over 7000 multinational companies have established a presence or headquarters here,” added Mr. Bakhda. “As communicated by Singapore’s Ministry of Trade and Industry (MTI), the possibility of an APAC Free Trade Area hinges on Japan’s participation in the TPP. Without the membership of the world’s third largest economy, TPP’s goal of establishing an open and inclusive trade architecture that is open to all countries in the Asia Pacific region will be incomplete. In any case, the expeditious conclusion of a fair TPP will benefit its member economies as well as its larger business community,” affirmed Mr. Bakhda.